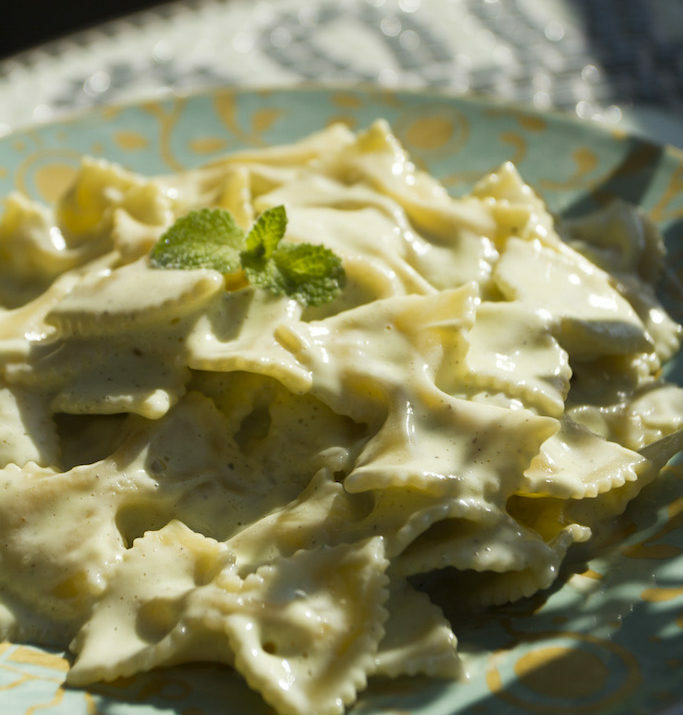 Zucchini Farfalle (bowtie pasta) – Real Talk Live! This amazing pasta dish will leave you drooling. I discovered it when I was living in Rome and it has then become one of my signature dishes. Boil or steamed peeled zucchinis with the garlic clove for 10 minutes, drain and place in a blender while still hot (you can add the whole garlic clove or just a little bit, depending how much you like garlic); then add the egg yolk, pecorino cheese, olive oil, mint and pepper. Mix until you get a creamy consistency (add more cheese if necessary) and add to your cooked pasta (follow you pasta cooking instructions); mix and serve. Decorate with mint leaves.